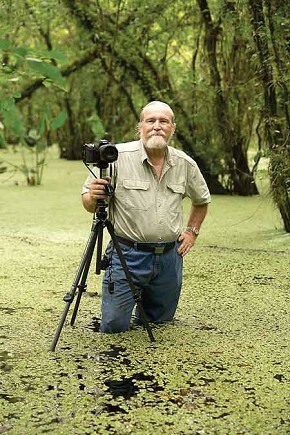 The Mangrove Chapter of the Florida Native Plant Society in Englewood is pleased to announce that Roger Hammer, professional naturalist, author, photographer and consultant, will be their guest speaker at the Tuesday, February 12 meeting. Roger will present his program on “Florida’s Wild Orchids.” Roger has photographed 96 of Florida’s 109 native orchids and discovered two species new to the flora of Florida. He has authored numerous books and field guides, and currently is the survivalist instructor for the Discovery Channel’s reality television show “Naked and Afraid.” The meeting will be held at Lemon Bay Park, 570 Bay Park Blvd. with doors open at 6:15pm and the speaker at 7pm. For more information about Mangrove Chapter activities and events, please visit mangrove.fnpschapters.org.